2 The future tense is created in two ways. You introduce a time reference in the future. Anything that implies a future time. Morgen, Um 8 Uhr Abends, In einer Woche etc. 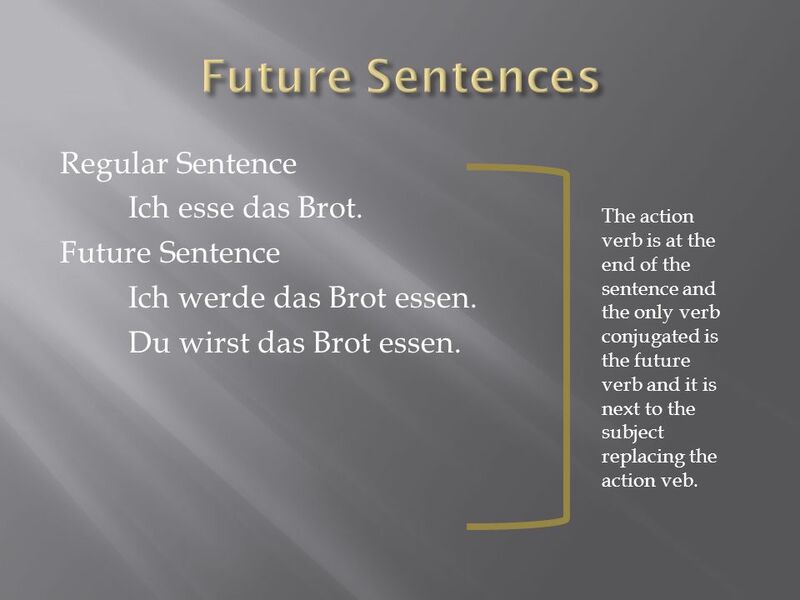 Or use werden as the future tense. Ich werde ein Artzt. Ich werde dich von dem Krankenhaus holen. 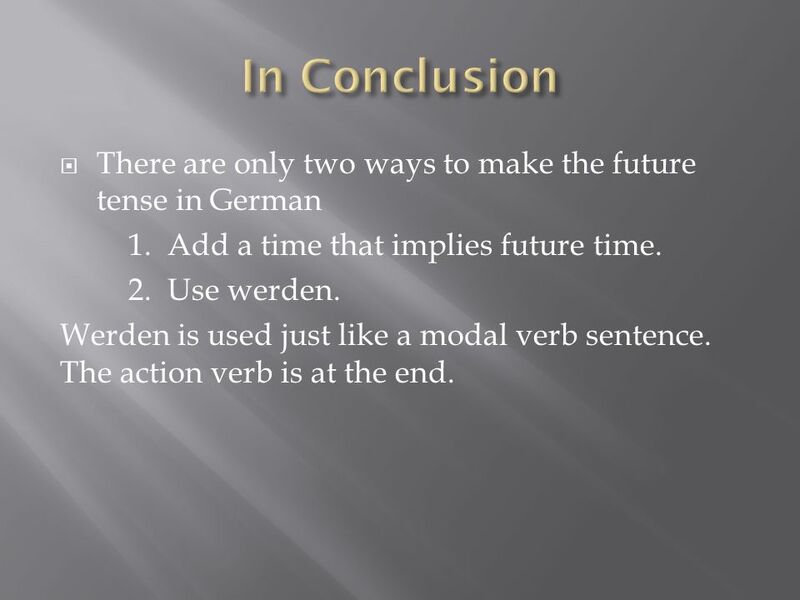 Using werden implies the future tense. We do not know exactly when these items will happen but they will happen in the future. 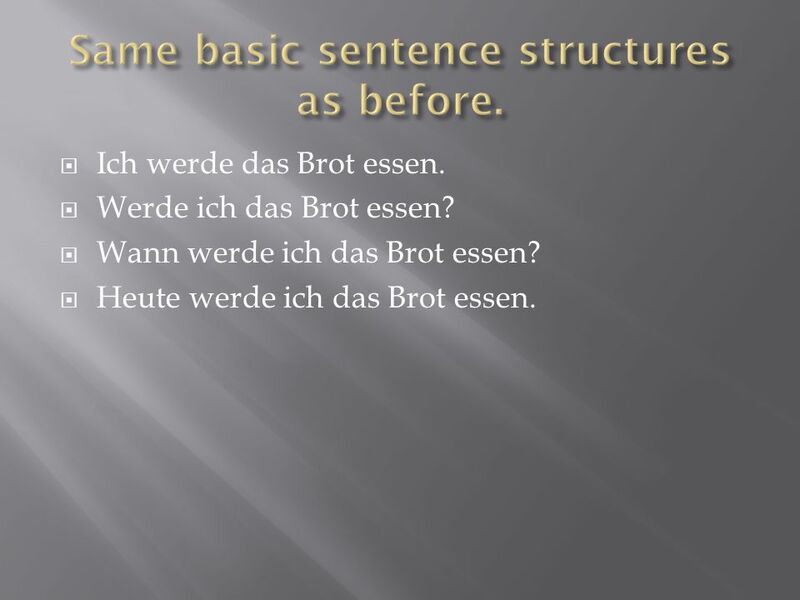 4 Regular Sentence Ich esse das Brot. Future Sentence Ich werde das Brot essen. Du wirst das Brot essen. 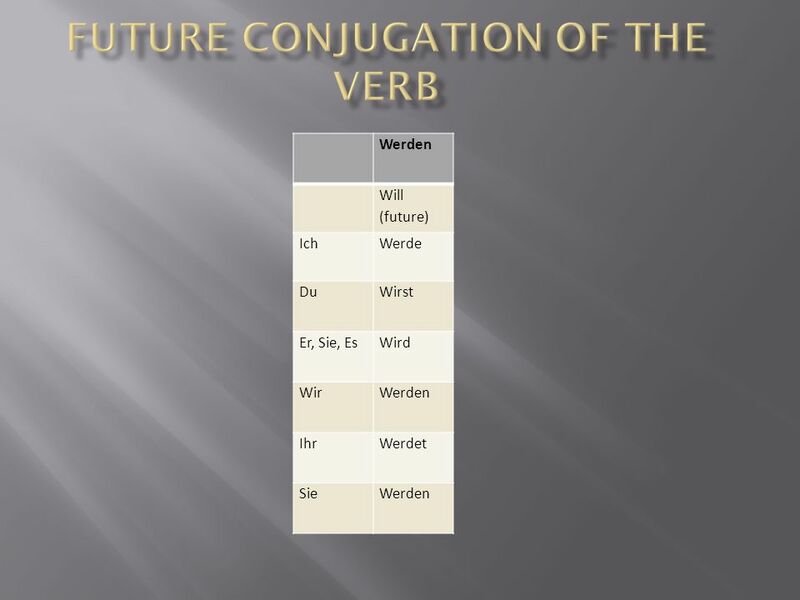 The action verb is at the end of the sentence and the only verb conjugated is the future verb and it is next to the subject replacing the action veb. 5 Ich werde das Brot essen. Werde ich das Brot essen? Wann werde ich das Brot essen? Heute werde ich das Brot essen. 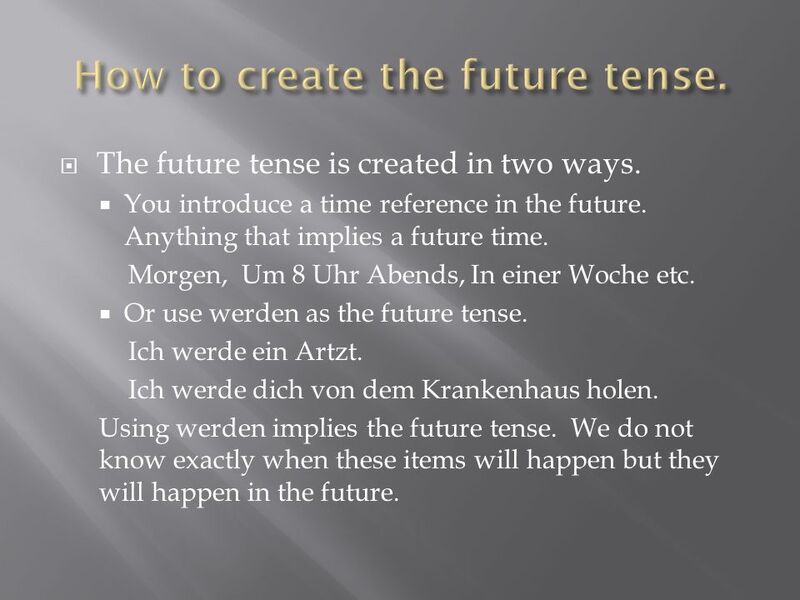 6 There are only two ways to make the future tense in German 1. Add a time that implies future time. 2. Use werden. Werden is used just like a modal verb sentence. The action verb is at the end. Herunterladen ppt "By Martin L. Loeffler. 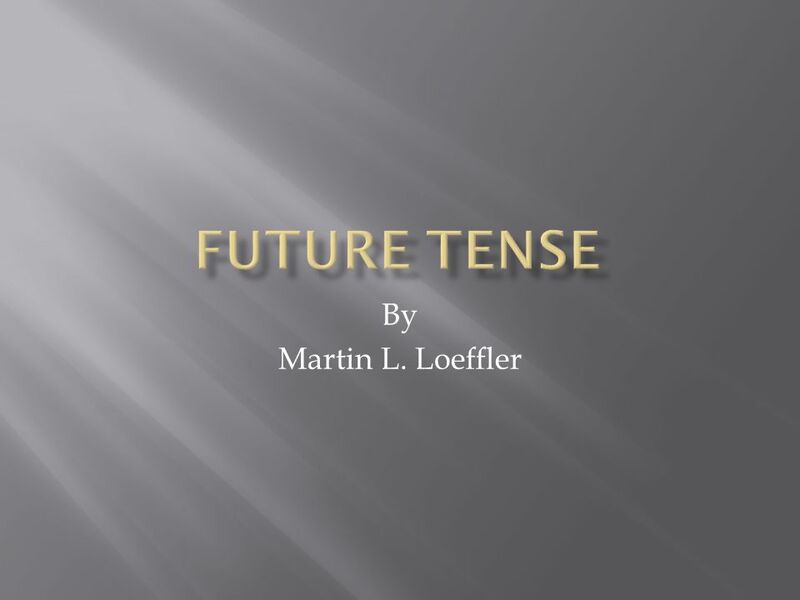 The future tense is created in two ways. You introduce a time reference in the future. Anything that implies a future time. Morgen,"